Martin Truex Jr. took over the Monster Energy NASCAR Cup Series championship lead Sunday after the Las Vegas Playoff opener – and holds a slim two-point edge over the regular season champion Kyle Busch entering Saturday night’s Federated Auto Parts 400 (at 7:30 p.m. 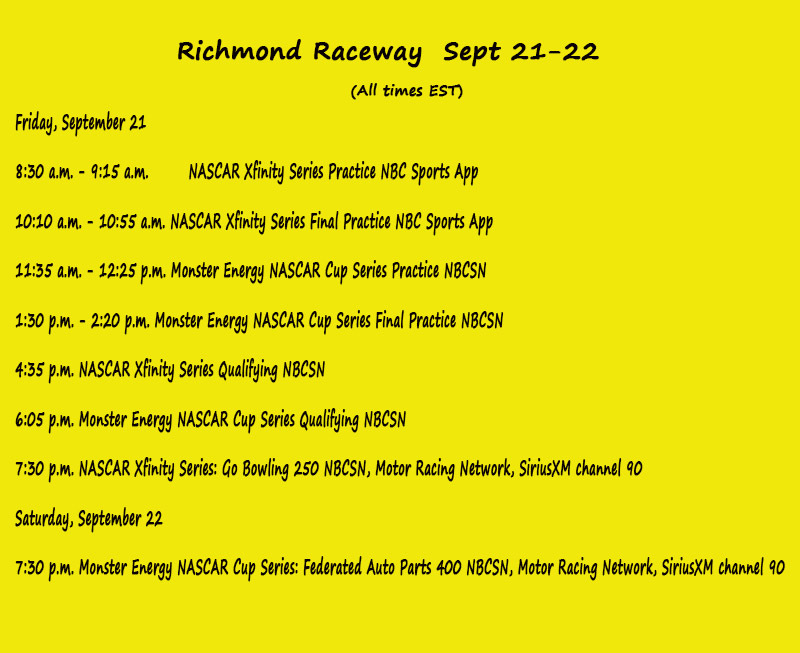 ET on NBCSN, MRN, SiriusXM NASCAR Radio) at Richmond (Va.) Raceway. It marks the first time the 0.75-mile Richmond oval has served as a Playoff race – it has been the regular season finale previously. That may make the characteristic of the race this week different with no more guarding regular season points positions and a Playoff-advancing win on the line. No one in the field has been better at Richmond than Kyle Busch, whose five wins place him seventh all-time on the winningest driver list there – tops among active drivers and secondarily only to a list of six NASCAR Hall of Famers. The key, however, is that all of Busch’s victories have come in the Spring Richmond race – including just this May. And a Fall trophy has never been so crucial to his title hopes. “I think wins are always important and I think the biggest thing now is that each (Playoff) round kind of has its own wild-card race, if you look at it – you’ve got the “roval” (Charlotte Road Course) in the first round, Talladega in the second round and then Martinsville kind of turned into a crazy race in the third round,” explained Busch, who drives the No. 18 Joe Gibbs Racing Toyota. Busch, who finished seventh at Las Vegas, recognizes that his fiercest competition this weekend may well come from his own Joe Gibbs Racing teammate Denny Hamlin, a three-time Richmond winner whose 1,659 laps out front is most among anyone in the field this weekend. Hamlin had a rough first Playoff outing at Las Vegas (finishing 32nd after an incident) and is ranked 16th – last – in the rankings headed to what he considers his hometown track, Richmond Raceway. Hamlin is currently 20-points behind 12th place Alex Bowman with only Saturday night’s race and next week’s race at Charlotte to determine which 12 drivers advance on in the Cup championship. Hamlin last won this Fall race in 2016. And it’s been a varying cast of trophy winners in the last decade at Richmond with last week’s Vegas winner Brad Keselowski taking the Fall Richmond win in 2014, Matt Kenseth in 2015, then Hamlin in 2016 and Playoff contender Kyle Larson last year. 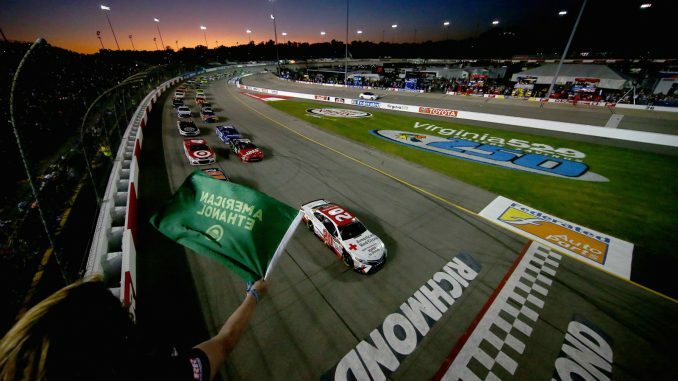 In fact, nine of the 16 Playoff drivers have won previously at Richmond, also including Kurt Busch, Jimmie Johnson, Clint Bowyer, Kevin Harvick, Joey Logano, Kyle Larson, Keselowski, Kyle Busch, and Hamlin. 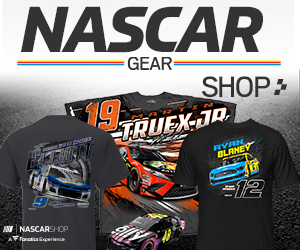 Truex, has not won at Richmond previously. Every time the series arrives in Richmond, however, Hamlin’s name comes up as the driver to beat and with so much on the line this season, it’s reasonable to expect big things from him. “I think a lot of it comes from Denny (Hamlin), being that it’s his home track,” Busch acknowledged. “I’ve been good there in Hendrick and JGR cars. But Denny and I really feed off each other an awful lot at Richmond. We use each other a ton there, just to be sure we can beat the rest of the competition, of course. The 12-driver, seven race NASCAR Xfinity Series Playoffs begin this Friday night in Richmond with the Go Bowling 250 (at 7:30 p.m. ET on NBCSN, MRN and SiriusXM NASCAR Radio). It marks the first time this track has opened the Playoff run. Regular season champion Justin Allgaier, a five-time winner in the No. 7 JR Motorsports Chevrolet, holds a seven-point edge on four-time winner, Sunoco rookie Christopher Bell in the Joe Gibbs Racing No. 20 Toyota. The remaining 10 drivers are separated by a mere 11-points. Bell won his first Xfinity race of the year at Richmond this spring with a close 0.423-second advantage over NASCAR Camping World Truck Series Playoff contender Noah Gragson. Elliott Sadler, who is third in the championship rankings, finished third in that race. Tyler Reddick won the 2017 Playoff opener at Kentucky last year. Three Playoff race winners are in the championship field this year – Tyler Reddick (who won at Kentucky last season), Christopher Bell (won at Kansas) and Cole Custer, who won the season finale at Homestead-Miami. Now a Monster Energy NASCAR Cup Series rookie, William Byron won the 2017 NASCAR Xfinity Series championship. What to Watch For: This is the second race in the series’ 10-race Playoff to decide the championship. Brad Keselowski won the Playoff opener at Las Vegas last week. ….The last eight Richmond races have produced eight different winners. … Kyle Larson is the defending Richmond race winner, earning the regular season finale win as the race was placed in the 2017 schedule. … Kyle Busch won at Richmond this Spring. All five of his wins at the track have come in the Spring. … Larson boasts the best average starting position (8.4) among those competing this week. .. Kyle Busch has been so good at this track, he has finished all but one lap in 10,429 laps of competition (26 races). …. Jimmie Johnson (2007 sweep), Joey Logano (2014 and 2017) and Carl Edwards (2013 and 2016) are the only repeat winners at Richmond in the last 12 years. Johnson is the last driver to sweep a season at the track since Rusty Wallace did so in 1989. … Brad Keselowski’s win at Las Vegas last weekend gave him three straight victories. He joins fellow Ford driver Kevin Harvick who won three straight earlier this season. It’s the first time Ford has ever had two drivers win three consecutive races in a season. … The last Ford driver to win four straight was Mark Martin in 1993 (at Watkins Glen, N.Y., Michigan, Bristol, Tenn. and Darlington, S.C.). Ford last won four straight as a company with different drivers in 2014. … Kyle Busch (at New Hampshire) and Kevin Harvick (at New Hampshire) have won the last two seasons second Playoff race. … Pole position is the winningest starting spot in the field historically, producing 24 winners. … The farthest back on the grid a winner has started is 31st. Clint Bowyer did that in Spring, 2008. … Denny Hamlin’s 1,659 laps led (17.3 percent) in his career at Richmond is sixth-best all-time and tops among active drivers. What to Watch For: This is the Playoff opening race for the series and first time the Playoffs have begun at Richmond Raceway. … Five-race winner Justin Allgaier leads the Playoff drivers as the points are reset, followed by four-time winner, rookie Christopher Bell. … The next 10 drivers in the 12-driver Playoff field are separated by only 11-points. … There have been seven different winners in the last seven Xfinity races at Richmond. Bell won here in the Spring. Cup driver Brad Keselowski is the defending winner of this Fall race. … Elliott Sadler won the Playoff opener in 2016 when it was at Kentucky Speedway. That is his last victory in the series although he advanced to the Championship 4 the last two years. Elliott, who announced he will retire from fulltime competition following the season, is currently ranked third in the Playoff points. … Ross Chastain earned his first ever series victory last week at Las Vegas and it boosted his Playoff ranking to sixth-place. He makes his last start in the No. 42 Chip Ganassi Racing Chevrolet this week. He drove the car to a win at Vegas and led 90 laps in it at Darlington before he was involved in an accident. … Dale Earnhardt Jr. will make his only NASCAR start of the season in this race, driving the No. 88 Chevrolet for his JR Motorsports team. He will also provide live in-race analysis for NBCSN, where he normally calls NASCAR races from the booth and will work there for the Cup race on Sunday. … Earnhardt has proven to be especially good at Richmond. He has four Xfinity wins at the track, including his last victory in the series in 2016. He also has three Cup victories at the venue. ….Kyle Busch earned his first ever Xfinity Series victory here (from the pole position) in 2004. He has since won 91 more Xfinity races and is the all-time winningest driver in series history. … Kevin Harvick is the all-time winningest in Xfinity Series races at Richmond with seven victories. Kyle Busch has won the most poles (six) ever. … IMSA standout Katherine Legge will make her NASCAR oval debut driving the No. 15 JD Motorsports Chevrolet. She has two previous series starts at Mid-Ohio (30th place) and Road America (14th). …. This race has been won from the pole position 14 times. Denny Hamlin was the last to do so in 2015.